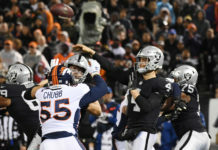 The Denver Broncos finished their 2018 season on Sunday with a 6-11 record, only one game better than the disappointing 5-11 campaign in 2017. That was Vance Joseph‘s first as head coach of the Broncos. Sunday’s listless, season-ending, 23-9 loss to the Chargers marked his final day in that role. 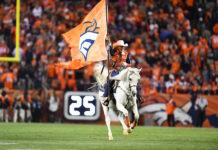 On Monday morning, according to multiple sources but first reported by ESPN’s Adam Schefter, Broncos general manager John Elway informed Joseph that he was to be relieved of his duties, effective immediately. 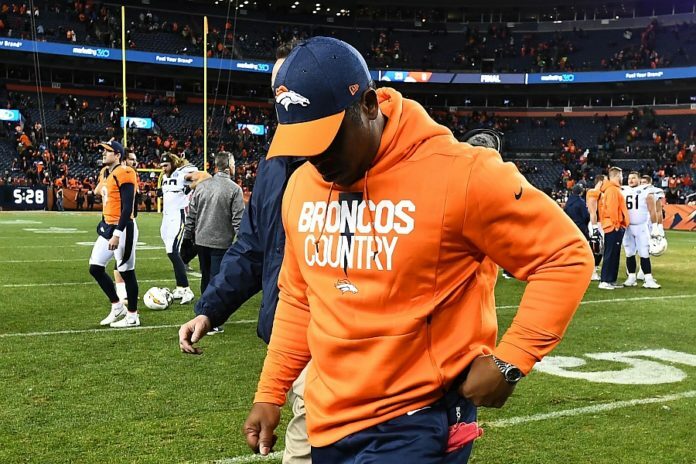 After its first back-to-back losing seasons, Denver now has fired head coach Vance Joseph, per source. Elway, who hired Joseph on Jan. 12, 2017 — not even two years ago — did so to questionable reviews, as other options like Kyle Shanahan (49ers) were passed over or others like Sean McVay (Rams) or former Broncos fullback Anthony Lynn (Chargers) weren’t even candidates. Elway had become enamored with Joseph following John Fox’s firing after the 2014 season, and positioned him as a long-term solution that would require patience as he learned on the job. Instead, the Broncos finished an injury-plagued 2018 campaign with the first back-to-back losing seasons since 1972 — the very year Joseph was born. 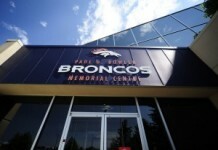 Indeed, the Broncos suffered through an extraordinary year of injuries, losing three of their five starters on the offensive line for the season (Matt Paradis, Ron Leary and Max Garcia), Pro Bowlers Emmanuel Sanders and Chris Harris, Jr. — and even rookie revelation Phillip Lindsay was knocked out for the season’s final game with a wrist injury that will hamper him for up to six months. Despite that, the problems that lingered throughout Joseph’s tenure — poor clock management, inconsistent game plans and execution, poor penalties and an alarming tendency to look unprepared for far too many games — continued throughout without much noticeable improvement. Joseph, once a defensive backs coach with the Bengals and the defensive coordinator for the Dolphins, oversaw a remarkable decline in Denver’s pass defense, one that not long ago was among the league’s very best. As it turns out, Elway believed he had a deal in place to replace Joseph with former Broncos head coach Mike Shanahan last offseason, but team president and de facto owner Joe Ellis put an end to that notion, leaving Joseph in peculiar, lame-duck territory. Elway will now be searching for his fourth head coach in only six seasons, attempting to fill a job that no longer appears nearly as desirable as it was when Joseph was hired.